We’d love your help. 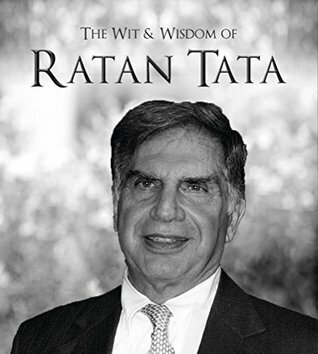 Let us know what’s wrong with this preview of The Wit & Wisdom of Ratan Tata by Ratan Tata. To ask other readers questions about The Wit & Wisdom of Ratan Tata, please sign up. 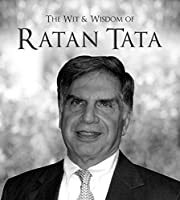 The Wit & Wisdom of Ratan Tata is a book that everyone should read. It's about his journey, His choice, his success and his Failure. It's not like a self-help book but a book with short lines with deep meanings. I Cherished how this book is made. The formula of "The less is More" is applied in an extraordinary way. it's like an Inspiration for each and every one. The book comprises of 233 Pages and is divided into Parts of his journey. His years as Tata Group Chairman, The Nano, Life after Retirement and many other topics are discussed in an apt manner. The black pages splendid photographs on the opposite aspect add attraction to the book. The cover itself makes one pick this book. One can learn alot from this book. It's like a guide to all the young minds to achieve their passion. It's about his Goals, Enthusiasm, Courage, Inspiration, Determination, Simplicity, Curiosity, His life. This book has everything. His experiences and learnings can brighten the light at the end of any entrepreneurial tunnel. It's easy to come first, but what's difficult is to be there. It teaches one many things and motivates to give their best. It has some of his quotes, lines from the speeches and his story. Has the occassional nugget of wisdom from one of the greats in India Inc. But mostly is a book of quotes extolling the group or generic knows about India. Wish the compilation included selection of quotes for say the college youth, or entry level professionals or even managers. That would have made the book useful.